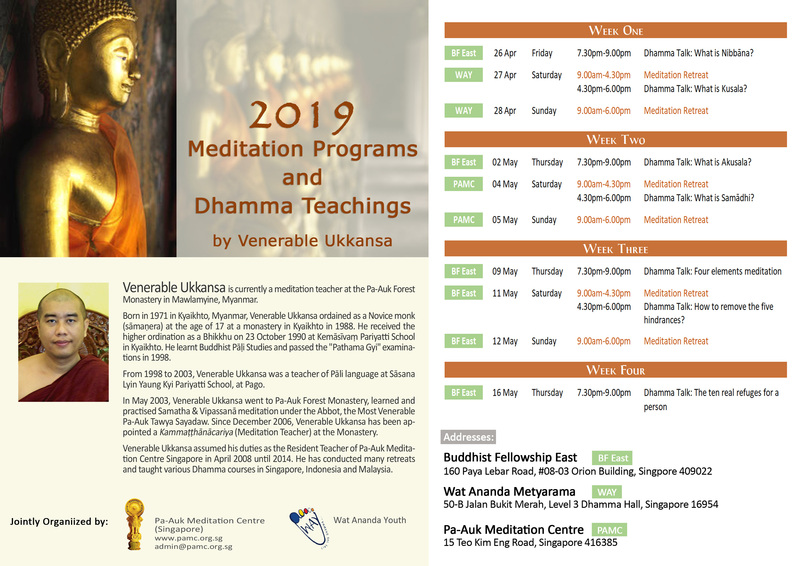 Bhante Ukkhansa will be in Singapore from April to May to teach meditation and give dhamma talks. The lessons and talks will be at different locations. Kindly refer to the poster for details. If you have any questions, kindly direct them to way1966@gmail.com or to our FB page: WAY SG. This entry was posted in Forest Way, Uncategorized on April 11, 2019 by wayadmin. 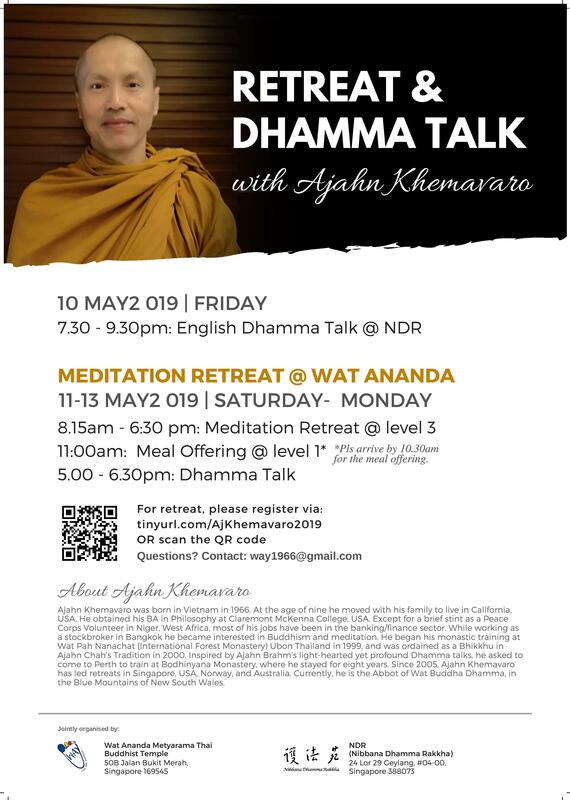 Ajahn Khemavaro will be in Singapore during May for a short stay. He will be leading a short retreat and a dhamma talk while he is here. Kindly refer to the poster for details. If you are interested to join the retreat, kindly register via the link or scan the QR code. Any questions, kindly direct them to our email way1966@gmail.com or on our FB page. This entry was posted in Forest Way, Uncategorized on April 9, 2019 by wayadmin. Have you got any worries about whether your children can understand the Buddha’s teachings? Or have your children complained of boring dharma lessons? Fret not! 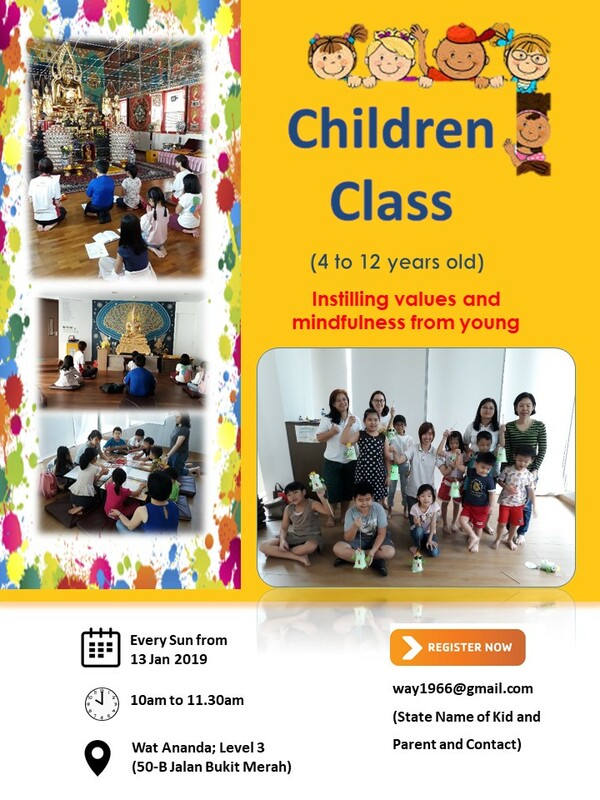 WAY’s Sunday Children Class is especially designed so that children will not have a difficult time during lessons. Instead, they will have fun learning the dhamma through short stories and various other activities, and also basic practice of meditation and puja(morning service). Kindly refer to the poster below for details! If you wish to find out more, please contact us through our email – way1966@gmail.com, or visit our Facebook page – WAY SG. This entry was posted in Uncategorized on March 3, 2019 by wayadmin. 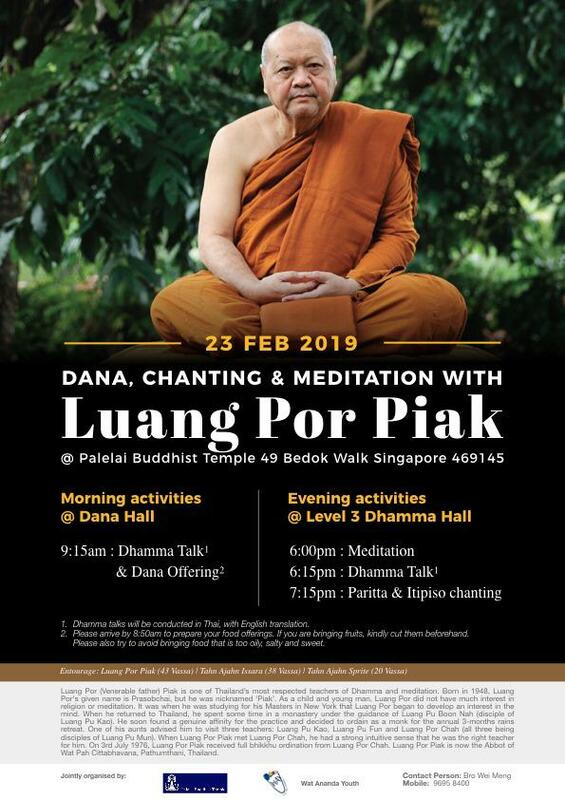 Luang Por Piak will be in Singapore on 23rd Feb at Wat Palelai to conduct a short session of meditation, dhamma talk and chanting. The Itipiso chant will be chant for 108 times. Kindly refer to the poster for more details. If you have any queries, please direct them to our email way1966@gmail.com or our FB page Way SG. This entry was posted in Forest Way, Uncategorized on February 10, 2019 by wayadmin. Dear Brothers and Sisters, Ajahn Cattamalo will be visiting in November. He will be leading a short meditation retreat and giving talks. Please register via the link shown in the poster if you would like to join the meditation retreat. If you have any questions, feel free to drop an email to way1966@gmail.com or visit our Facebook for enquiries. This entry was posted in Forest Way, Uncategorized on August 21, 2018 by wayadmin.